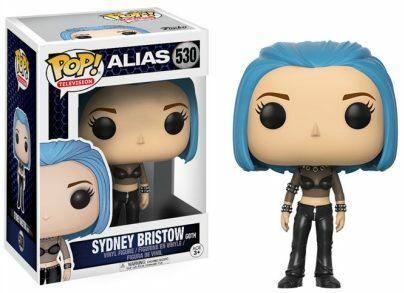 A master of disguise, Sydney Bristow receives another fun look with Funko Pop Alias. The vinyl release offers various options for the famed double-agent. Channeling her inner Pretty Woman, the set starts with the covert operative wearing a blonde wig, tight blue dress and white heels. 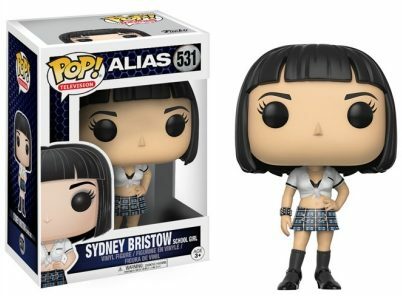 Funko collectors can also find a black-haired figure of Sydney sporting a white blouse tied in a knot above her torso and a plaid mini-skirt. Shop for Alias DVD/Blu-Ray options on Amazon. 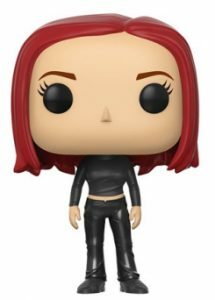 Another Funko Pop Alias figure accurately depicts the initial image of Sydney undercover in an all-black ensemble with red hair. Next, Bristow has to infiltrate a Taiwanese dance club, so naturally, she dons a blue wig and a mesh top revealing a black bra underneath. 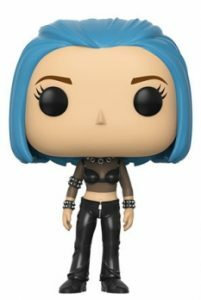 Standing approximately 3 3/4” tall, Funko Pop Alias vinyl figures are numbered as part of Pop! Television. Created by J.J. Abrams, Alias chronicles the challenges and missions of Sydney Bristow, a secret agent for the CIA. 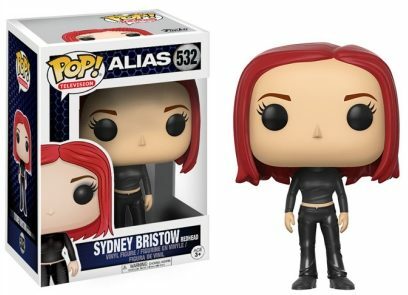 The acclaimed television series aired on ABC for five seasons, giving Bristow, portrayed by Jennifer Garner, a plethora of disguises, which makes the character a perfect fit for Funko and its propensity for variants and exclusives.